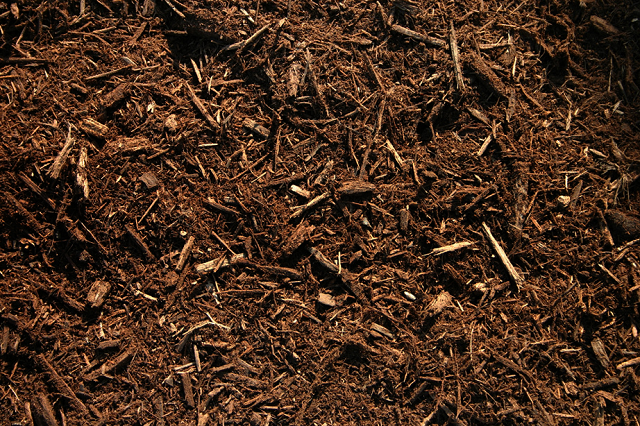 Here you will find the highest quality double and triple hammered hardwod mulch, cedar, cypress, playground chips and dyed brown, black and red mulch. We also carry premium pine bark mulch, pine bark nuggets and native longleaf pine needles. Available for pick up or delivery. Our Economy Triple Hammered Hardwood mulch is a finely ground mulch that has a smooth texture with a natural Brown color. It makes great ground cover and will stay in place on hilly terrain. 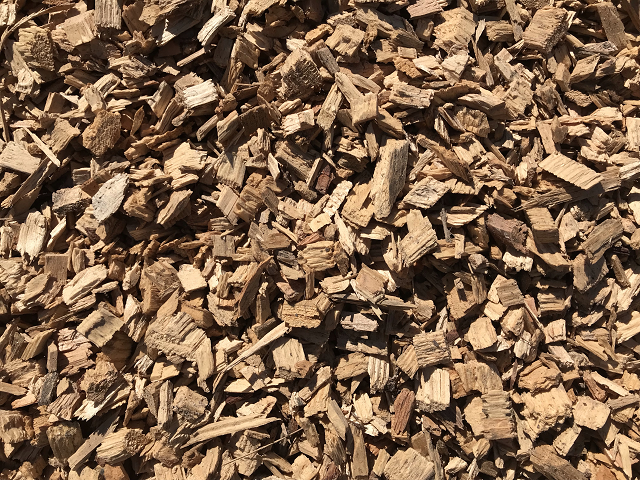 ​Our Double Hammered Hardwood mulch is processed on site where we can control the quality and freshness of each and every yard, Double hammered hardwood is perfect for areas with slopes and retains moisture well, plants and shrubs love. 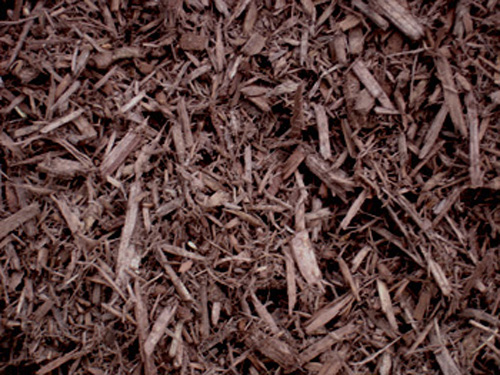 ​Our Premium Mixed Hardwood mulch is one of our best sellers. Always consistent in texture and a beautiful natural brown color. The Premium Mixed Hardwood mulch has a slightly finer grind over the Double Hammered Hardwood. Great for slopes! 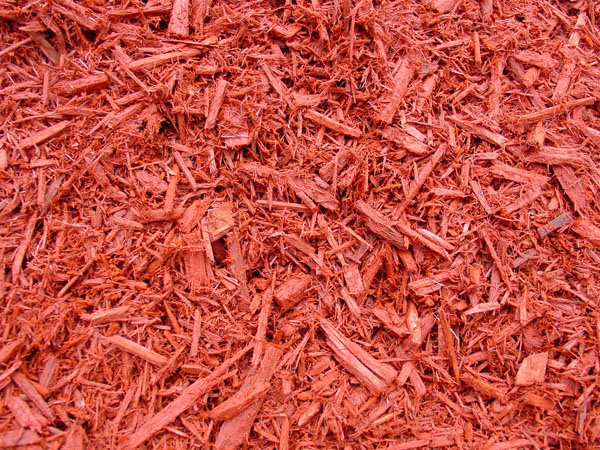 Our Premium Red Oak mulch has a beautiful deep Auburn color. Its one of the longest lasting types of mulch around. Holds moisture well and plants love it!! Stays in place and looks great. 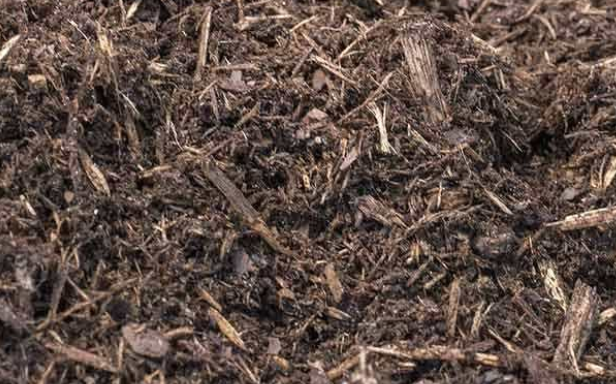 Our Brown Dyed Hardwood mulch is processed and dyed at our own facility therefore allowing us to produce a consistent product. 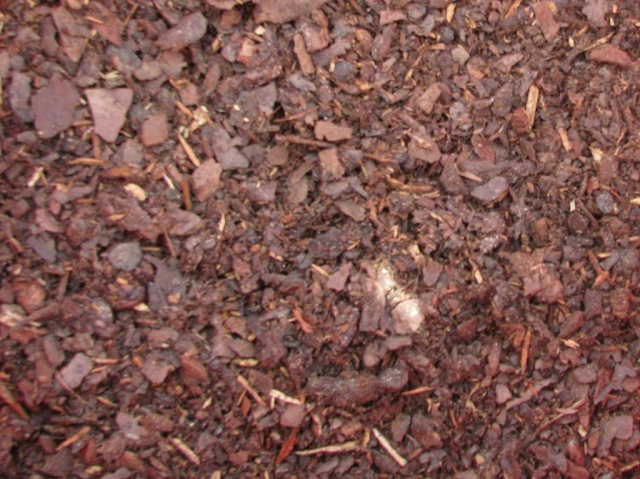 This beautiful Chocolate Brown mulch is the actual bark of the tree and NOT made from pallets. No Nails here!! All of our dyed mulch products are BASF Certified Safe. Click here to read all about it! 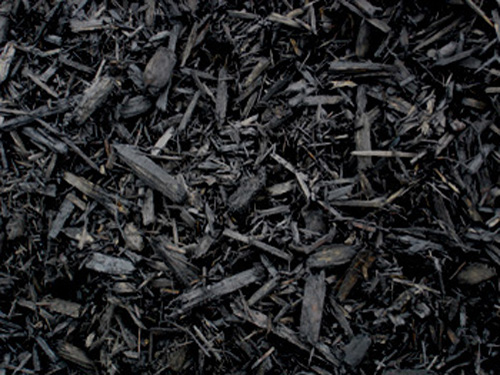 Our Black Dyed Hardwood mulch is processed and dyed at our own facility therefore allowing us to produce a consistent product. This beautiful Black mulch is the actual bark of the tree and NOT made from pallets. No Nails here!! ​All of our dyed mulch products are BASF Certified Safe. Click here to read all about it! 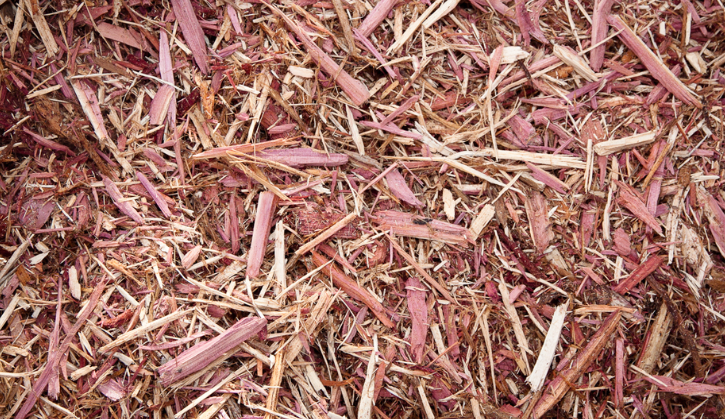 ​Our Red Dyed Hardwood mulch is processed and dyed at our own facility therefore allowing us to produce a consistent product. This beautiful mulch is the actual bark of the tree and NOT made from pallets. No Nails here!! Our Large Pine Nuggets are perfect for larger natural areas. They are naturally dark brown with a reddish tint. The Pine Bark is long lasting and when it does break down it enriches the soil with organic material. Light weight material and easy to install. ​Our Mini Pine Nuggets are perfect size for smaller natural areas. They are naturally dark brown with a reddish tint. The Pine Bark is long lasting and when it does break down it enriches the soil with organic material. Light weight material and easy to install. 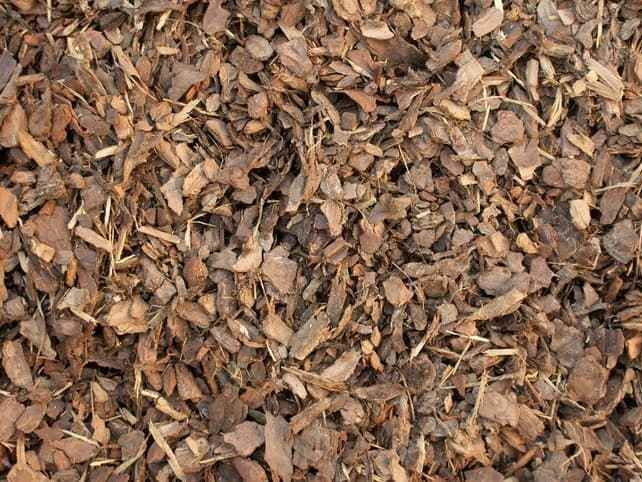 Our Pine Bark Mulch is finely shredded and is the perfect choice if you are growing acid loving plants like Azaleas.Not to mention it really looks nice when installed. They are naturally brown with a reddish tint. This is a very light weight mulch to work with. Our Pure Cedar Mulch is processed at our own facility by grinding the highest quality Cedar logs around. This mulch not only offers a pleasant aroma but helps to repel insects.The color is blonde to natural golden brown with accent Red streaks. Our Pure Cypress mulch is a long lasting product that helps repel insects and helps protect plants during the cold winter months. The color is a blonde to natural golden brown. Our Pure Cypress Playground chips has the perfect grind with safety in mind for your playground area. Its a little finer grind so it doesn't float as bad. The color is a light natural golden brown. This mulch is Certified for playground.